Crowds gather at the Columbia Convention Center for a previous Soda City Comic Con. The comic book was an issue of the Brave and the Bold 28, "which is the very first appearance of the Justice League." Brock said he sold the comic, a decision he still regrets, but the sale produced a few hundreds dollars and inspired the Gaffeny native to venture into the comic book business. Not wanting to go into the retail business, the husband and wife team decided starting a convention would allow for further business growth. "Thats how they both [the comic business and convention] got started, one lead to the other." Four years later, the Soda City Comic Con has become a popular event in the Midlands. Annually, cosplay members; comic book writers and illustrators; vendors; and fans attend the two-day event, which is held at the Columbia Convention Center in the downtown area. 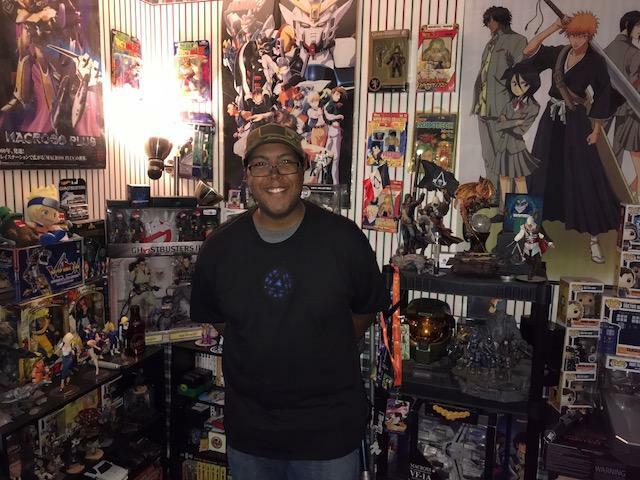 "I've been attending comic book conventions since 1998," said West Columbia resident, James Williams. From the West coast to the East Coast, Williams has attended conventions in California, New York, Georgia and both North and South Carolina. He will again attend the Soda City Comicon, August 25 and 26. Williams is a member of the cosplay group the Columbia Ghostbusters. "We usually have a table, I'm not sure about this year. But if not, I'll be walking around- feel free to take pictures with me." Williams said he's noticed the growth of the Columbia convention and is enjoying the perks of a bigger show. "I am looking forward to seeing the gentlemen who plays Luke Cage. I will have him sign my Halo 5 guardian's case." Columbia native and USC graduate Mike Colter stars as Marvel's Luke Cage, a man with super strength and unbreakable skin caused by a sabotaged experiement. "He is also Spartan Locke, who is also one of my favorite spartans in the game [Halo 5], Williams said." I'm really excited that we're actually getting some more big-named stars to actually come through and attend these panels and basically have everybody geek-out." The convention will feature panel guests; adult and children cosplay contests; attractions; and scores of artists and vendors. Corey RocBotton Davis is a Columbia-based comic book artist and illustrator who will attend the convention as a vendor. "From the illustration side, I'm really liking what I've seen with this recent boom of comic artists and writers." Davis said he's professionally worked in the industry for about 15 years. He got his 'feet wet' while in college, hanging around some of his friends who were breaking into the industry. "I remember a time when there was just a handful of us that were in the area making some sort of impact on comics. I guess over the course of the last decade, the numbers have grown." LISTEN: Columbia-based comic writer and illustrator talks about the success of his first 'legit' published work. Brock thinks Columbia's growing population and location may also be playing a role in the convention's popularity increase. "Columbia is actually in a great position to have a large show." He mentions, nearby cities like Charlotte, Atlanta, Greenville and Charleston being places where ticket holders can come from. "There's probably 10 million people within a three-hour radius of Columbia, possibly more, he added"
Despite the growth and possible future growth, Brock and other event cofounders are cautious about how they could potentially expand the show and it remain a comfortable and enjoyable experience for everyone. "I don't know if we're at the point where we would take over the whole convention center. Obviously thats the next step, but how you do that is a question that we're still asking ourselves." 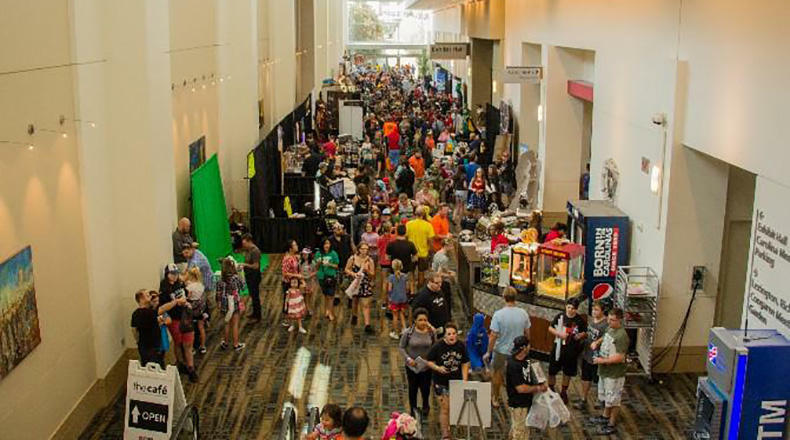 After the 2017 show, Brock said feedback from attendees, guests, artists and vendors indicated people did not want the show to be divided between the convention center's multiple floors. For more about the 2018 Soda City Comicon, visit http://www.sodacitycomiccon.com.